Farmers’ assessments of public research in Mali and citizens’ juries on the governance of food and agricultural research in West Africa. The West African part of the action-research programme - Democratising Agricultural Research for Food Sovereignty - has made a conscious effort to include members of both advocacy and practitioner movements in all key aspects of this participatory process. In 2008, a multi-actor steering group was set up to co-ordinate and design the overall process of citizen deliberations. The epicentre of these activities is in Mali, where the steering group is currently composed of representatives of 15 organisations from all sectors (government, academia, producer organisations, small-scale private sector, civil society and media). The first step in the process was to organise an independent farmer-led assessment of public research on plant breeding and the management of agro-biodiversity in Mali. In November 2009, african partners and IIED organised and facilitated this assessment of the work of national agricultural research programmes (plant breeding and seed management) in Mali and of an international centre for agricultural research (ICRISAT). The assessment was conducted by and for farmers – both men and women – using participatory methodologies. This allowed farmers to assess the quality of public research using their own criteria for evaluation and according to their own priorities. 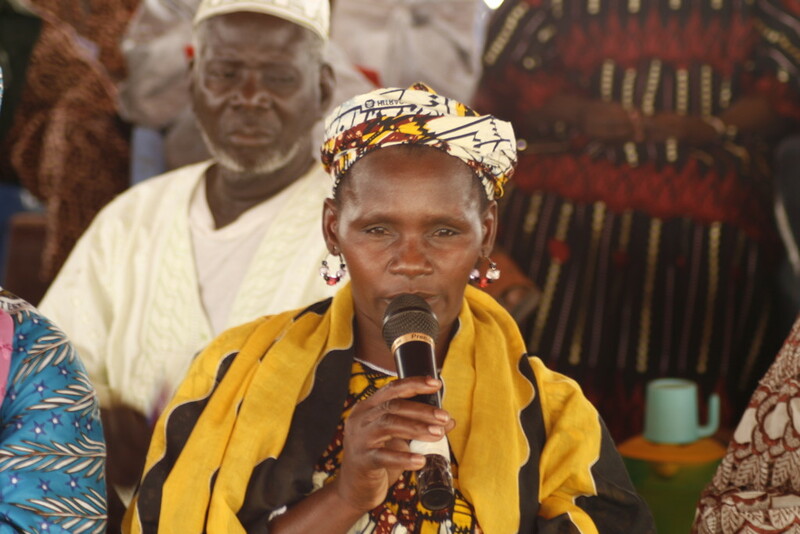 The assessments included discussions between farmers and researchers during a 12-day farmer “caravan” that visited 4 main agro-ecological zones in Mali in November 2009. Twelve farmers from Mali, Senegal, Burkina Faso and France participated in these discussions with scientists. The findings and conclusions were fed into the citizens' juries that were subsequently held in January-February 2010 (described below). A full report on the process and outcomes of the farmers’ assessments of public research on plant breeding was produced: “Les Variétés Améliorées des Stations de Recherche ne sont pas Toujours les Meilleures” (BEDE, 2009). PDF available in French. Based on this collective analysis and the discussions after the presentations and cross examination of the specialist witnesses, the jurors developed a series of recommendations for policy makers. These are shown in Boxes 1 and 2 for each of the citizens' juries held in Nyeleni. Involve farmers in every stage of creating and selecting varieties. Focus research on local varieties. Under no circumstances should the creation and selection of varieties produce hybrids and genetically modified organisms (GMOs). Involve research much more in producing knowledge on local biodiversity in order to add value to its use and values. Develop mechanisms to implement the arrangements set out in the Framework Agricultural Law (Loi d’Orientation Agricole) for the retirement pension scheme of producers and for disaster management funds. Find strategies to promote local seeds as a means of achieving food sovereignty. Hybrid seeds and GMOs should be avoided. Develop mechanisms to help protect the local market and local produce from unfair competition from imported products. Train researchers and producers in participatory research methods and practices. Make innovations more accessible to producers (cost, proximity and timing). Use local languages to disseminate the knowledge gained from research. Facilitate and strengthen communication between the leaders of peasant farmer organisations and their grassroots members. The West Africa Steering Committee members have developed a website (www.ecid-nyeleni.org) to describe the process and outcomes of the West African citizens' juries on the directions and governance of agricultural research in both Bambara and French.